I like that; it sounds like “kisses”. So, this is Kissebükü, with some people. It looked rather romantic to me, so I’m calling this “Romantic Kissebükü”. 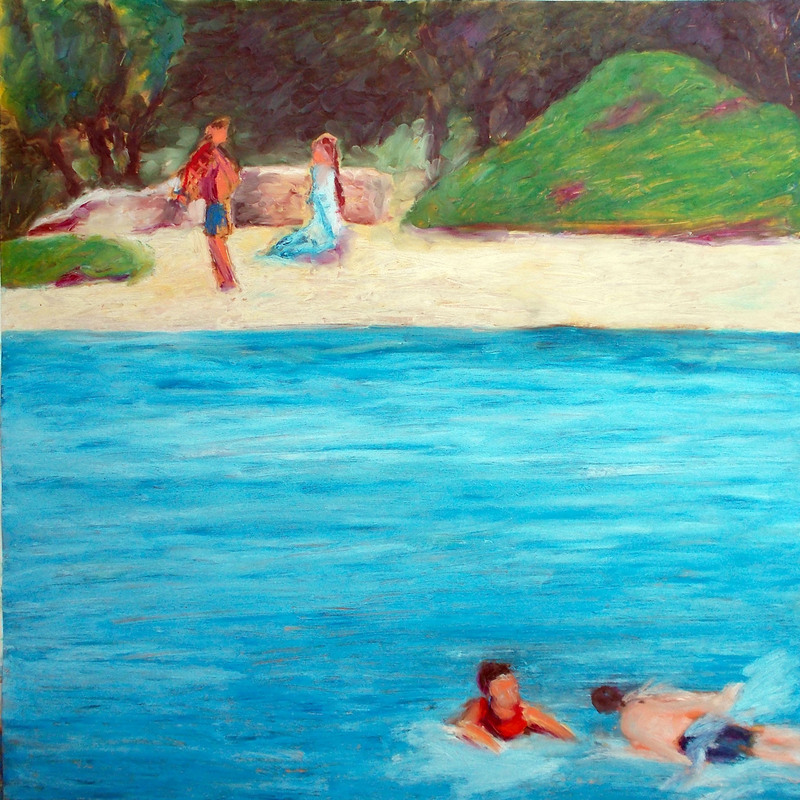 This entry was posted in Bodrum, Painting on Paper and tagged Bathers, Blue Cruise, Bodrum, contemporary art, Deborah Semel Demirtaş, Drawing, environment, Kissebuku, landscape, Oil Sticks, Painting on Paper, Sarıkopek, Sustainable Tourism, Swimmers. Bookmark the permalink.